Hans Matzal (Faith Heritage) usually finds himself out in front of the pack, particularly when running the 600 meters. 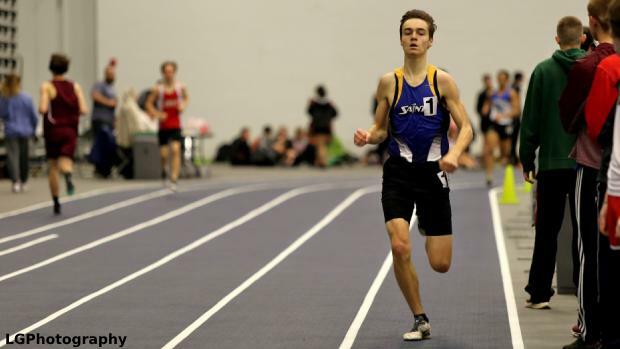 Clearly that's considered a positive for the Faith Heritage senior who has dominated the 600m, posting the third-best time (1:21.53) in the state and eighth-best time in the country [through Feb. 5]. The negative, however, is that Matzal feels that some stiffer competition would be beneficial to his running. "It's a big factor [not being pushed]," said Matzal, whose goal is to run 1:19 in the 600m before the season ends. "The last lap affects me. 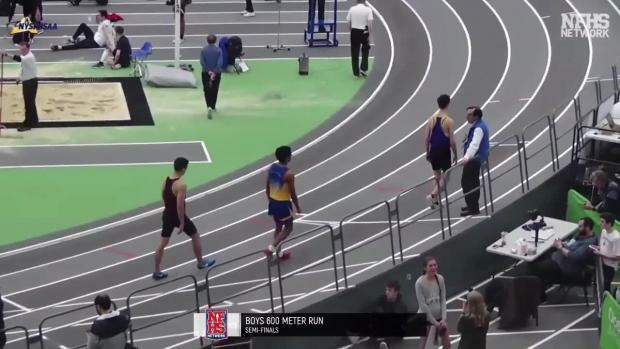 I know I could run the last lap of the 600m faster if I had someone next to me. I think I could be better if I had someone there to push me because I run my best when someone is pushing me. "So, I need a hard race with tough competitors. If I have someone that's tough competition pushing me I think I can get 1:19." Matzal's thirst for competition has only grown this season as he looks towards the future. 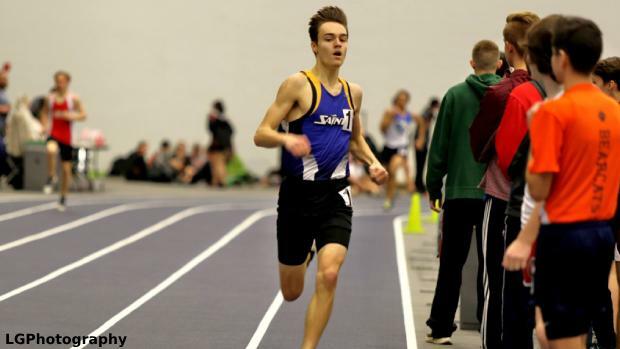 He realized that he wants to run in college - he's not sure where he wants to go yet - and a strong senior season would help lay a solid foundation for the future. "If you had told me a year ago that I'd be going after 1:19 in the 600, I don't think I would have believed you," Matzal said. "But I really stepped it up with goal setting this year. 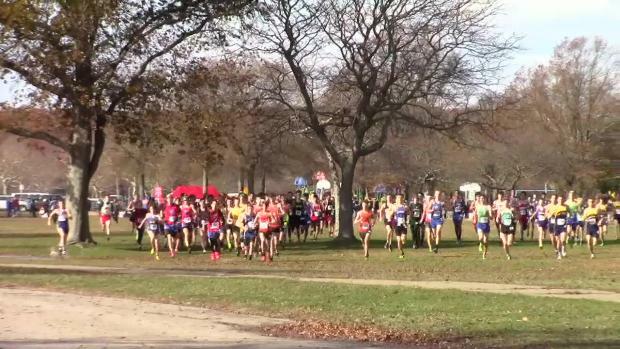 I realized that I wanted to run in college and if you matched my times up to other DI runners, they weren't good enough. I want to run Division I and that's where the drive comes from." That drive has pushed Matzal to what has been a career year. He's participated in 12 meets - running the 1000 (three), the 800 (one), the 600 (three) and the 300 (four) - and has won 11 times. The only time he failed to win was Dec. 8 in the Jack Morse Kickoff Meet when he ran the 55 meters. He finished fifth but ran a personal best (7.13). Matzal set a personal record in the 1000 (2:32.58) on Jan. 12 in the Fred Kirschenheiter Memorial AM Session. He set a personal record in the 800 (1:57.07) on Jan. 25 in The Utica Challenge Invitational and a personal record in the 300 (36.35) in the Mohawk Valley Meet on Jan. 4. The one that stands out, however, is the personal record he set in winning the 600 on Jan. 20 in the OHSL1/OHSL2 League Championships. It made him one of event's front runners in the state while earning him a national profile. "He is very well-prepared and he has specific goals in mind," said Faith Heritage coach Janet Loch, who has coached Matzal since he was in fourth grade. "His goals, especially if they are specific times, might be more that I would choose for him but he is very focused and hard-working. [World-renowned] coach Jack Daniels' has his book about the four types of athletes. When he talks about the ones with high ability and motivation, that's Hans." Matzal has also developed into a "great team leader", according to Loch, though he says it isn't a conscious thing, adding that it is something that developed over time. That doesn't figure to change over the final few weeks of the winter season or in the spring. If anything, his dedication should only serve to enhance his standing as a leader, whether he's running in a pack or all alone.